1. Mourn what was lost. Admit it. Name it. Weep over it. Rather than living in denial, we need to intentionally mourn every heartbreak of life. Some things can be mourned in minutes while others will not be overcome in a lifetime. Either way, we need to mourn. Mourn the small things, even if your loss doesn’t compare to the loss of others. If we were only allowed to mourn if our loss was greater than others then only one person in the world would be able to mourn at a time. Mourn the big things by breaking them into small things. Many people live in denial and don’t even know it because they are mourning in general and not in the specifics. The loss of a child is more than one loss. It’s the loss of a thousand things. By mourning each specific loss as it comes to mind, we are processing the depth of the tragedy. We should cry every tear which needs to be cried. 2. Appreciate what you have. Admit it. Name it. Rejoice over it. 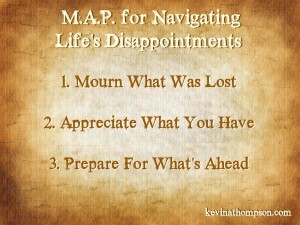 I’ve noticed families who continue to express gratitude in the midst of difficult situations navigate life better. They don’t feel loss less, but they are aware of the positives which are around them. Those that only focus on the negative feel the same amount of loss, but experience none of the positives which are around them. This multiplies the negative. If we aren’t intentional, one disappointment can color how we look at every aspect of life. Yet nearly every tragic situation is also seasoned with grace—medical professionals who show extraordinary care and compassion for a dying loved one, friends who show deep concern in meaningful ways during your grief, the presence of loving family being and doing everything a good family is supposed to be. Appreciating the presence of good even during a difficult time keeps an individual from despair. Life can hurt deeply, but rarely does that hurt define everything about life. Good is often intermingled within our greatest sorrows. 3. Prepare for what’s ahead. See it. Anticipate it. Be energized by it. Every positive has negatives and every negative has positives. 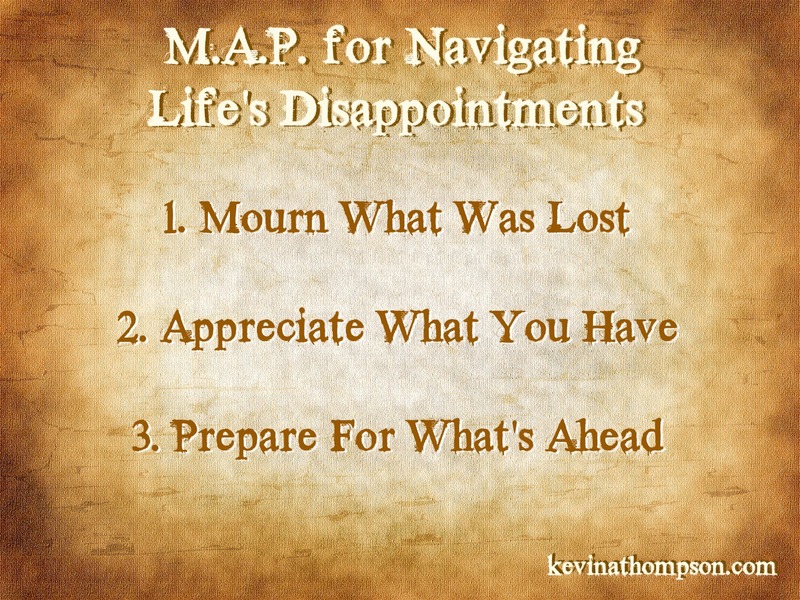 No matter the cause of a disappointment, it results in us being in a place in life we never wanted to be. While the new road is not of our own choosing, it can be meaningful. And it can be satisfying in ways which we could have never expected. This is only true because God Controls Even Our Darkest Days. Choosing to walk this new path with excitement and anticipation is one of the great keys to not allowing one disappointment to ruin your life. Feel the sorrow but also continue to live.